Hemimorphite is a zinc-containing mineral that was once known as calamine. In 1803 the British chemist and mineralogist James Smithson discovered that there were two different minerals under the heading of calamine; zinc carbonate and zinc silicate, which often closely resembled each other. Zinc carbonate was later named smithsonite in honor of Smithson, while zinc silicate was named hemimorphite. The name calamine is no longer in use in mineralogy; now it is used only for the pink mixture known as "calamine lotion", which contains zinc oxide and iron oxide. James Smithson was not only a important scientist, he was also a shrewd investor who amassed a fortune during his lifetime. Though he had never visited the United States, his will stipulated that his wealth should go "to the United States of America, to found at Washington, an establishment for the increase and diffusion of knowledge among men". In 1846 the Smithsonian Institution was founded with Smithson's fortune. Zinc silicate (hemimorphite) is rarer than zinc carbonate (smithsonite). The name hemimorphite comes from the unusual character of its crystals; the crystals terminate in dissimilar faces. One end of the crystal is rather blunt, being dominated by a pedion face while the opposite end terminates in a pyramidal point. Hemimorphite is an important ore of zinc, since the mineral contains over 50% zinc. 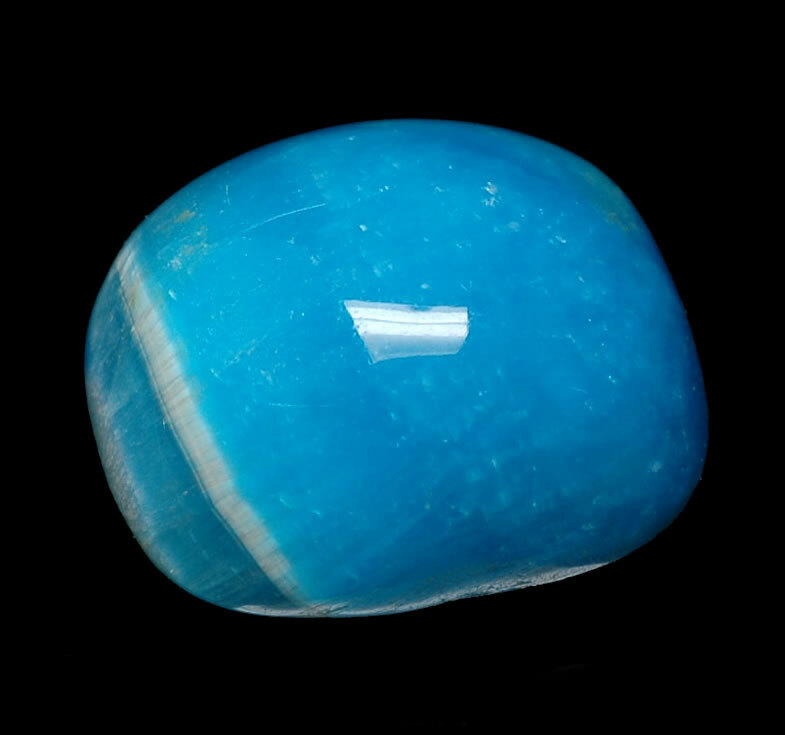 Gem-quality hemimorphite is usually blue or green, and bears some similarities to chrysocolla, smithsonite and turquoise. In aggregate form, hemimorphite often displays bands of blue and white, or is mixed with a dark matrix. Hemimorphite has a refractive index of 1.614 to 1.636 and a density of 3.30 to 3.50. It has a hardness of 5 on the Mohs scale with perfect cleavage. Hemimorphite deposits are found in Australia, Algeria, Mexico, Namibia, the Congo, Austria, Italy and the United States.